Per UAOH policy and to make sure that all funds and Humanitarian aid is being utilized properly all of our recipients must be verified and approved on a regular basis. Therefore, every six months our representative visits each approved site to confirm status. To apply for approval on becoming recipient of Humanitarian help please fill out appropriate forms. All of our Donors offer specific types of goods, starting from cleaning supply, hygiene goods to medical equipment. To match to your needs all detailed information on each of offers can be found on this inventory. This page is password protected, please contact us at info@uaoh.internation to receive password to view all available humanitarian aid offers. At this difficult time Ukrainians need to stick together and help each other. The only way to overcome all difficulties and to build a successful and prosperous country – is “Way of Unity”. This thesis formed the basis of the philosophy of the charitable organization founded in Odessa in 2015. We joined our forces for the sake of Peace, Freedom, European development and our future. We established nonprofit organizations and charitable foundations to become united at these hard times, and to help our Country, to help people to defend our freedom, dignity, our choice and Nation. 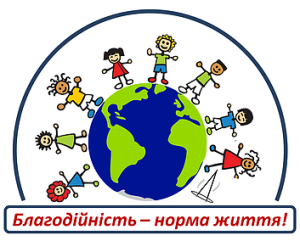 Alumim Children’s Home and Social Rehabilitation Center for Jewish Children was founded in 2007 in the picturesque suburbs of Zhitomir, West Ukraine, by the Federation of Jewish Communities of the CIS and generous support of the Keshet Fund and Leviev Fund. 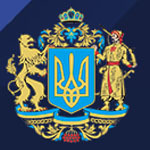 The charitable organization “glory and honor” registered by Service Chief Department of Justice in Kiev June 12, 2014. It has the status of non-profit organizations. Charity organization “Save the sailors Asol ” was founded by relatives of the crew the ship” Ariana “, which was in pirate captivity 7.5 months. During the release of their relatives, with the support of Sergey Tigipko mothers and wives of the crew decided to set up fund to help the sailors. The Ukrainian Red Cross Society is a voluntary nation wide humanitarian public organization. We work where people need assistance, support and advice. Anybody, who is in trouble, whether it is loneliness, disease, poverty, unemployment, loss of family links or an armed conflict, can appeal to the workers of the Red Cross to decide the problem arisen in his life. 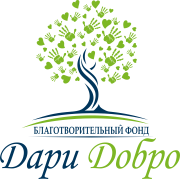 Charity Fund “Unity of Life” is a non-profit charitable organization and has the status of a legal entity in accordance with the current legislation of Ukraine. Foundation promotes a party in civil law relations, represents and defends their interests and the interests of its members in the state, public and other organizations in Ukraine and other countries. Express Kindness is team that have worked since 2004 to make our world a kinder and better. We have done more than 13 completed infrastructure, social, educational and patronage projects in Ukraine. We are constant targeted assistance to those in need: veterans, pensioners, invalids, soldiers ATO, children from disadvantaged families. Charity fund “WITH KINDNESS TO PEOPLE” has started its activity in October 2015. Charity has united the founders with the only aim: to help people to improve life quality. It is not so easy, by efforts of several people, to help many Ukrainians expecting support of different kind. That is why, Charity fund “WITH KINDNESS TO PEOPLE”, undertook responsibility to unite with non-indifferent people, which also make much effort lending a helping hand for fighting for somebody’s life.